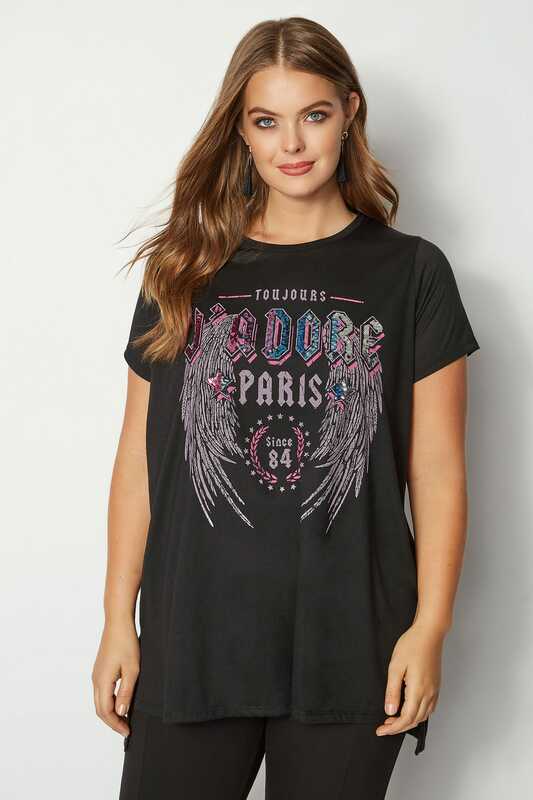 Add some cool to your casual with this sequin jersey tee. 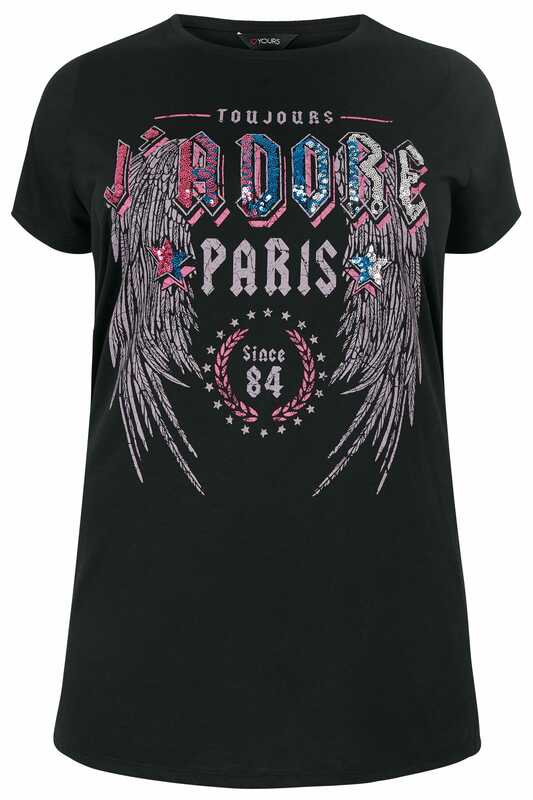 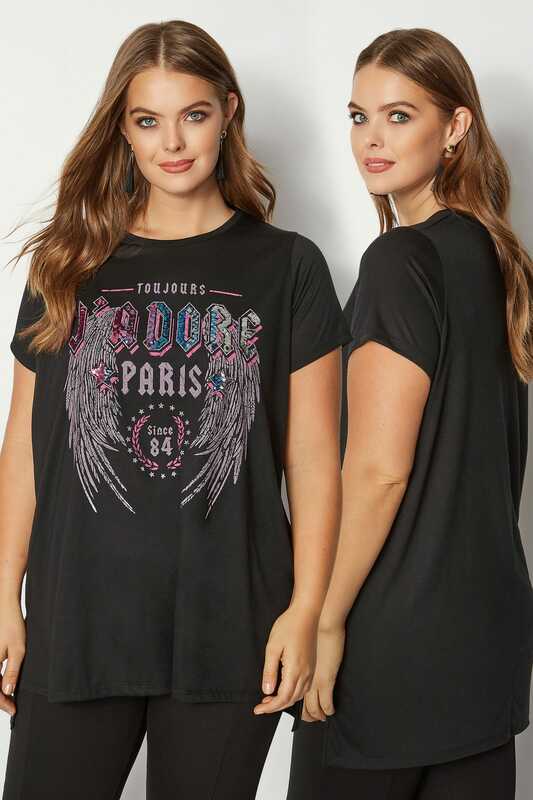 In a flattering longline length, it features an edgy slogan print and sequin embellishment. 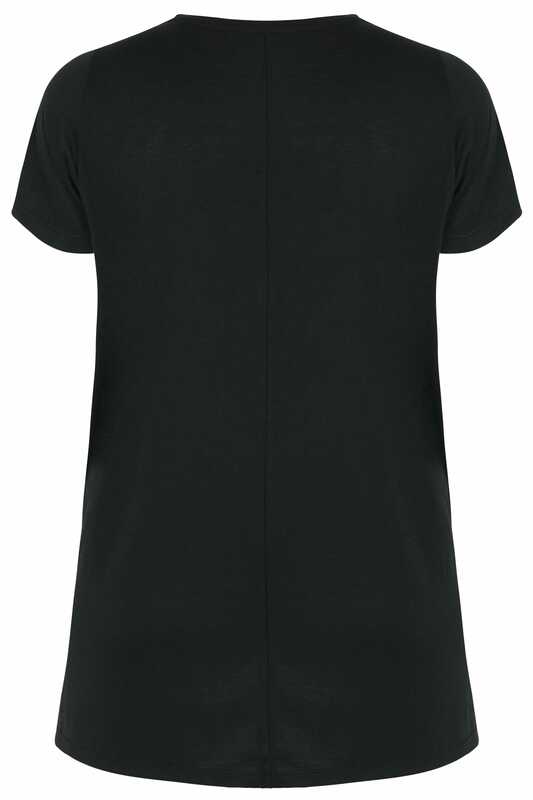 For an ultra rock-chic look, style with black ripped jeans and biker boots. 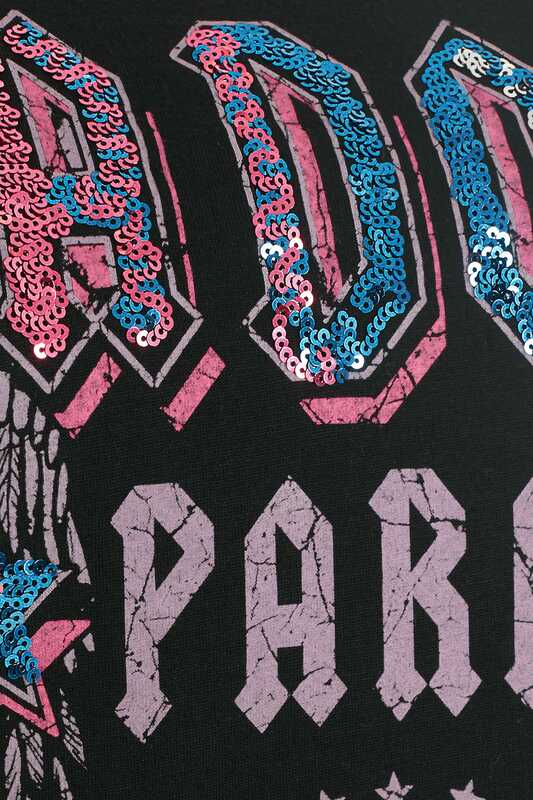 It's the coolest jersey tee in your wardrobe.